Bent - Frock Magazine for crossdressers, transvestites, transsexuals and transgender people everywhere. Oh, and Drag artistes too! What a strange, twisted, unorthodox tale Teri Louise Kelly has woven here. Abandoning the standard conventions of the genre, she has put together a memoir that initially comes across as nothing more than stream-of-consciousness rambling, but which slowly begins to reveal the threads of a life remembered. There’s no doubt that style makes for an intensely personal experience, and the reader’s confusion and uncertainly are part of that experience. It’s as if we’re meant to be just as unsure of our place within the narrative as Kelly was unsure of her place in the world around her. She jumps from memory to memory, framing each with the wisdom of experience earned long after the original scene was lived. Approaching this as a story of gender identity and expression is to do it a severe injustice, and to neglect everything else about her life. If there’s one thing we immediately take from her story it’s that gender is not who we are, but simply a part of our lives. There’s no doubt it describes us, but it doesn’t solely define us. A lot of her life revolves around understanding her gender, and of coming to terms with its expression, but there’s no illusion that her entire life has been spent in pursuit of some gender ideal. Ironically, some of the most insightful observations in the story come not from Kelly, but from her invisible, imaginary friend, Alice. Initially, it’s unclear just who or what Alice is, whether she’s a real person, an imaginary friend, a ghost, or a representation of some sort of schizophrenic break. Eventually, however, it becomes clear vardenafil vs cialis that Alice is both a coping mechanism and a reflection of who Kelly is inside. There is a lot of darkness to Kelly’s tale, including drugs, alcohol, dysfunctional relationships, thoughts of suicide, and even a stay in an asylum. It’s almost as wearing as the confused rambling of the narrative itself but, once again, it helps to bring the reader into her world and force a sort of emotional connection. Interspersed throughout the tale (and extraordinarily jarring in the way they jump out of the text) are various quotes from celebrities, famous thinkers, and medical journals. They’re never commented upon, but left to stand as a placeholder in time, something to help illustrate her place in the world and her own understanding. 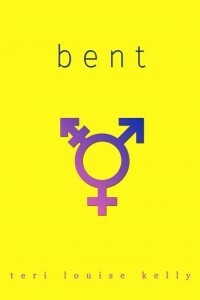 As cover blubs go, few are as honest or as compelling as that of Bent. This is not a fairy tale, not a happily-ever-after tale of transformation, and not an inspirational guide on how to accept your own gender. Instead, it’s the insightful (and often painful) tale of one woman’s journey from discovery to understanding, intimately woven into the story of a life influenced, but not defined, by that journey. It’s not an easy reason, but it’s not an easy journey.